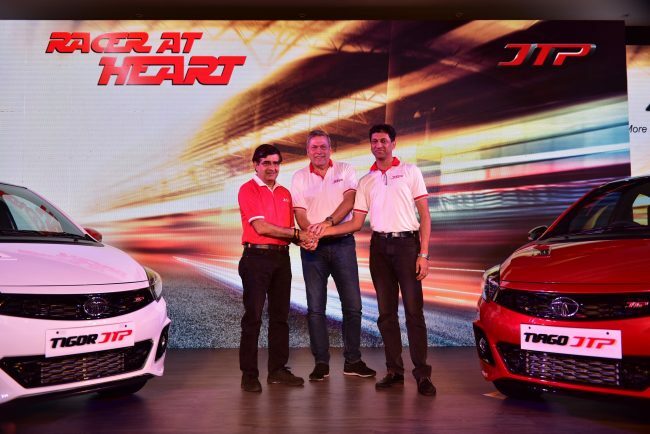 JT Special Vehicles (JTSV), a 50:50 Joint Venture between Tata Motors and Jayem Automotives, today, launched JTP range of performance vehicles – the Tata Tiago JTP and the Tigor JTP. These are performance cars and manufactured at the Tata Motors Sanand facility. The joint venture between Tata Motors and Jayem Auto focuses on design and development of performance cars, including the uniquely styled parts. 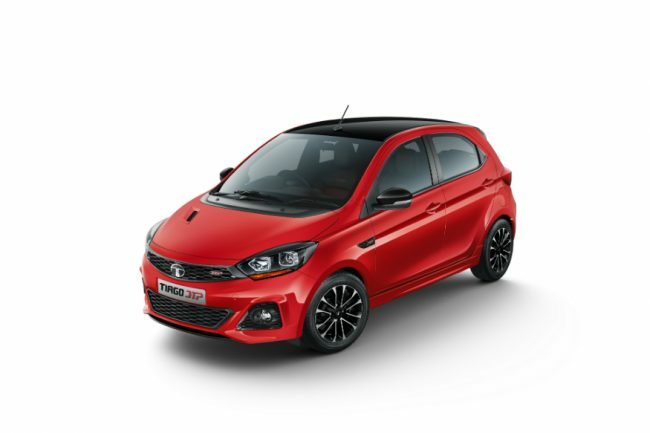 The Tiago JTP and Tigor JTP will be available at select Tata Motors dealerships in the following cities – Kolkata, Delhi, Gurgaon, Chandigarh, Lucknow, Bengaluru, Chennai, Coimbatore, Hyderabad, Pune, Ahmedabad, Kannur, Thrissur, Mumbai and Ernakulum/Cochin from early November 2018, at a starting price of INR. 6.39 Lakhs for the Tiago JTP and INR. 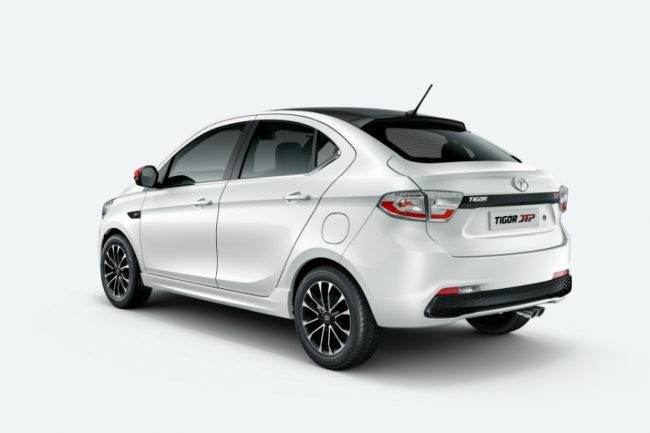 7.49 Lakhs for the Tigor JTP, ex – showroom, New Delhi. These cars can be booked starting today at select Tata Motors dealership with a down payment of INR 11,000. The Tiago JTP and Tigor JTP are powered with the 1.2L turbocharged new generation Revotron petrol engine with 114PS power and 150Nm torque. They come with Multi Drive Modes – City and Sport. Equipped with performance oriented intake and exhaust systems, these vehicles come with a 5 speed manual transmission with optimized gear ratios & final drive for superior acceleration. The suspension setup of these vehicles has been amalgamated with reduced ground clearance for improved driving dynamics. It has maximum speed of 160 kmph and can go from 0-100km/h in 10 seconds. JTSV has added strategic addition to the Impact Design Philosophy of Tata vehicles to amplify the impact of the design further, in line with the ‘thrill to drive’ philosophy of JTSV products. These cars are not only performance oriented on the inside but also give a dynamic sporty look. These vehicles have bold exterior styling with new front end design with large grill, smoked projector headlamps, bonnet and fender vents, 15” diamond cut alloy wheels and side skirts. These vehicles have all black interiors with sporty accents on AC vents, premium leather wrapped steering with contrast red stitching and performance aluminum pedals for sporty yet luxurious feel.